It’s hard doing food reviews while on a diet. 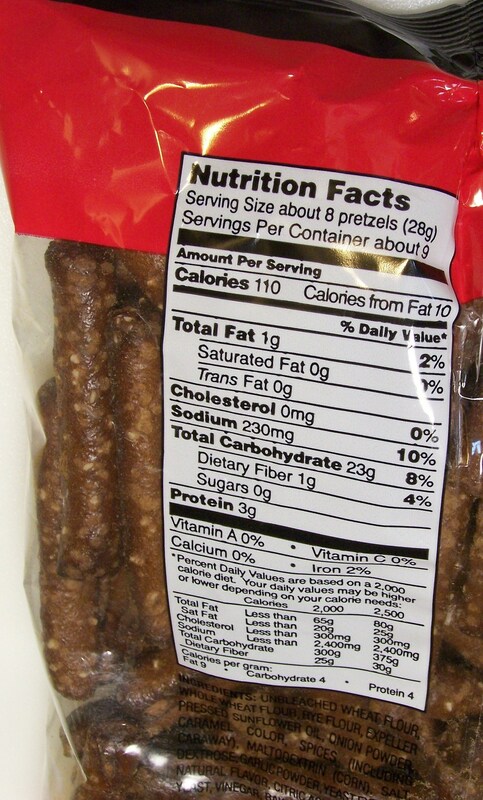 Doing a food review of pretzels is even harder. Because if there’s one thing that goes well with pretzels, its beer. Beer, pretzels and hardy pumpernickel, what could be more Bavarian? How about BMW? Bavarian Motor Works, or more appropriately, Bayerische Motoren Werke. Raise your hand if you knew that. To further complement the obligatory beer, these pretzels are pretty dry, perhaps even drier than the ordinary pretzel. Let’s call it the desert of deserts pretzel. A fair amount of salt on the pretzel helps mitigate the dryness. Why is that? Plus the salt further encourages popping the top on another brew. Other than the diet mentioned in the opening sentence there’s nothing wrong with this picture. Just don’t do it while in the BMW. The pumpernickel was a little disappointing. 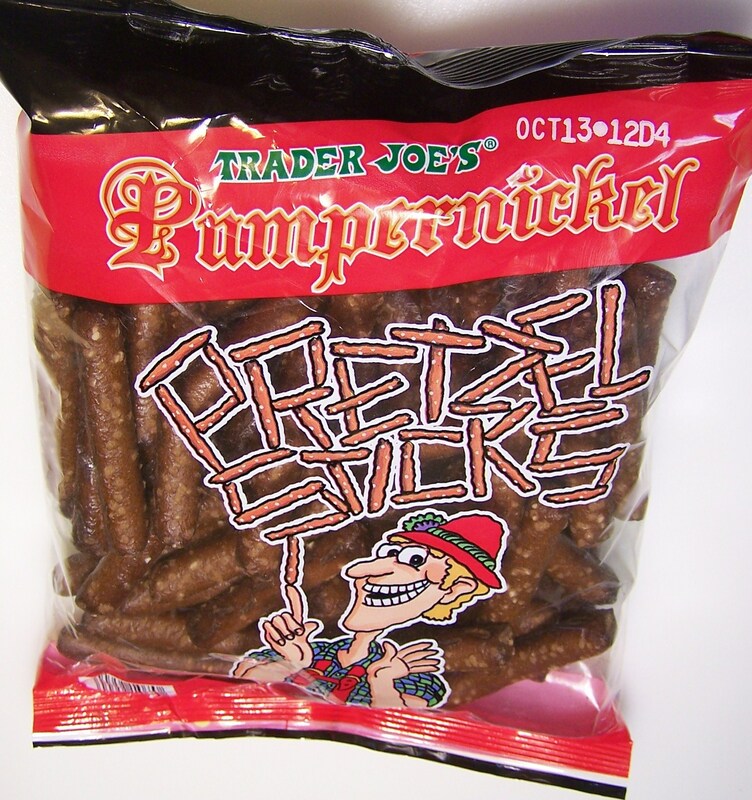 Rather that the strong different pumpernickel taste I remember from the bread we used to buy at the Danish bakery around the corner from where we lived, these pretzels have a weak pumpernickel flavor. That’s sort of keeping with the tradition of American pumpernickel. Raise your hand if you knew there’s an American pumpernickel tradition. The best way to get over the slight taste disappointment is to pop another top. With a different, but not radically different, taste that goes well with a bottle of beer, or just plain pretzel snacking, these are worth a spot in your shopping basket at least once. At a $1.49 per 9 ounce bag, they’re barely more expensive than a small bag of pretzels from a vending machine. This entry was posted on 05/17/2012 at 08:32 and is filed under Recipes, food, cooking and related items, Trader Joe's. You can follow any responses to this entry through the RSS 2.0 feed. You can leave a response, or trackback from your own site.